Dr. Hodgson is a Board-Certified Neurologist with a medical education from the Philadelphia College of Osteopathic Medicine in Philadelphia, PA. He completed his one-year internship at St. Francis Hospital in Pittsburgh, PA. He then went on to complete his three-year Neurology residency as well as his clinical Neurophysiology fellowship at Drexel University College of Medicine in Philadelphia, PA. 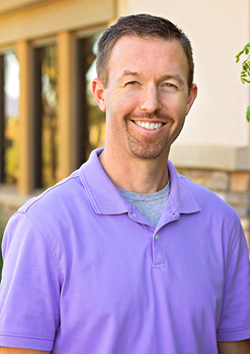 Along with seeing patients at Gilbert Neurology, he has privileges at Mercy Gilbert Medical Center and is an adjunct professor at A.T. Still University Medical School in Mesa, AZ. As the Stroke Director at Mercy Gilbert Medical Center, he also gives a variety of lectures to community groups. He has also been featured repeatedly in the Top Docs issue of Phoenix Magazine. Dr. Hodgson lives in Gilbert, AZ with his wife, four boys, one daughter, three goats, chickens and ducks. He enjoys traveling, hiking, and participating in triathlons. He also enjoys going on medical mission trips to Malawi, Africa and Haiti.